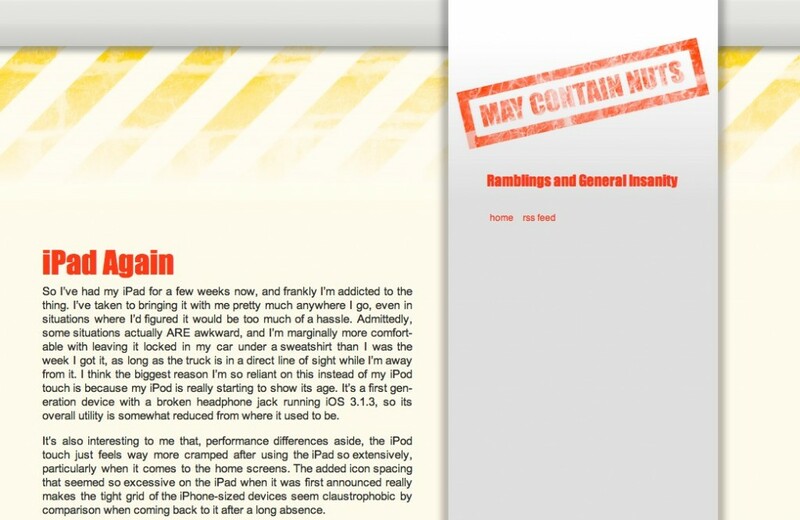 May Contain Nuts is my personal web log, powered by WordPress. Please be aware that content on this site may offend, as this is where I go to speak my mind. This redesign was built in part to experiment with creating web designs in Pixelmator, and to play with a grungier design, while taking a different visual approach to the blog title’s play on words.